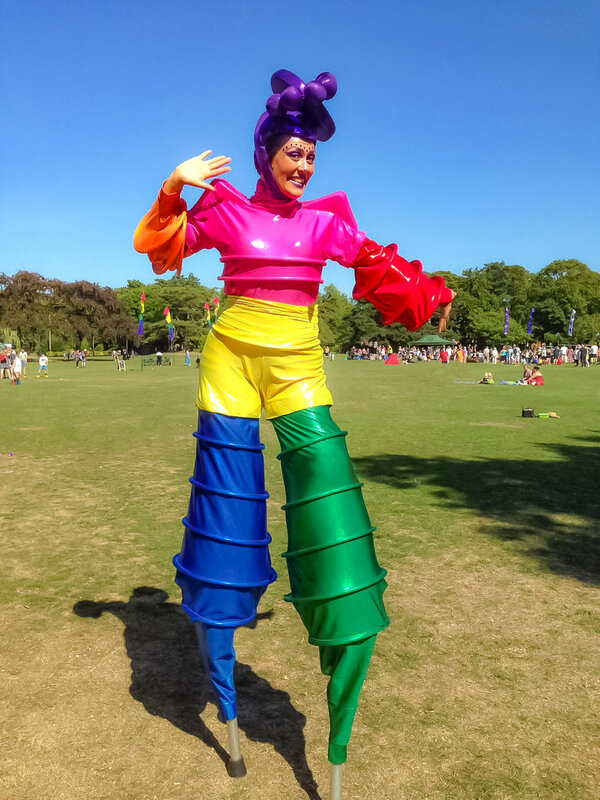 The Rainbow Stilt Walkers make a bright and colourful addition to any event. These characters are a great way to encourage audiences to engage with your event, party, promotion or parade. Whatever the event, we can enhance it. Colours can be chosen to match and enhance a your event theme. Available as a single stilt walker for intimate events right up to four stilt walkers for the real wow factor!